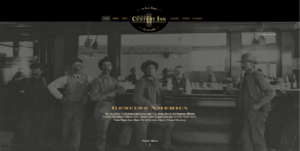 An award-winning, historic steakhouse in the Chicago Suburbs with packed weekend dinner crowds deserves a strong website – an online presence that properly represents the 110-year-old restaurant which has never closed its doors despite Prohibition, riots, and structure fire. 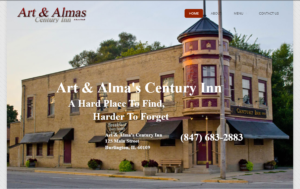 Relaunched in June 2017, the site did more than provide a refreshed look/feel and updated menu; it continues to show strong YOY online growth, driving more and more potential customers to peruse the menu, call, and seek directions. Check it out, and be sure to stop in for the best prime rib of your life. Get there early, they sell out fast! Bikers welcome.